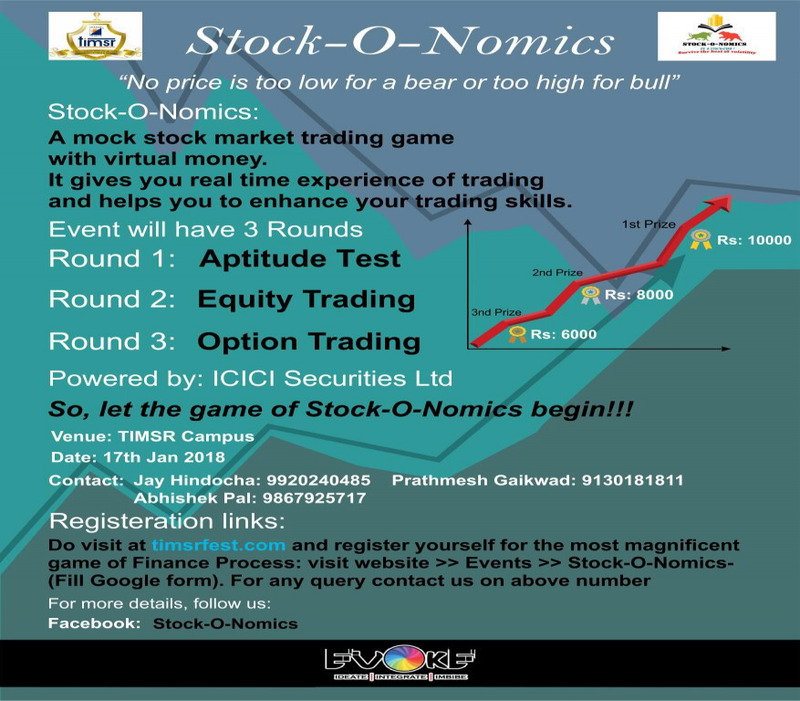 STOCKO-O-NOMIC is a management eventthe opportunity of Learn + Earn without any investment at Thakur Institute of Management Studies and Research. The most awaiting management game STOCK-O-NOMICS - "No price is too low for a bear or too high for a bull". It is a mock stock market trading game with virtual money. It gives you real time experience of trading and helps you enhance your trading skills.